In a first, a study has established link between PM 2.5 and mammographic breast density, a strong and independent risk factor for breast cancer. The study also found inverse associations between ozone (O3) and mammographic breast density. In medical terminology, breast density is a reflection of relative amounts of epithelial, stromal and fat tissue in breasts. 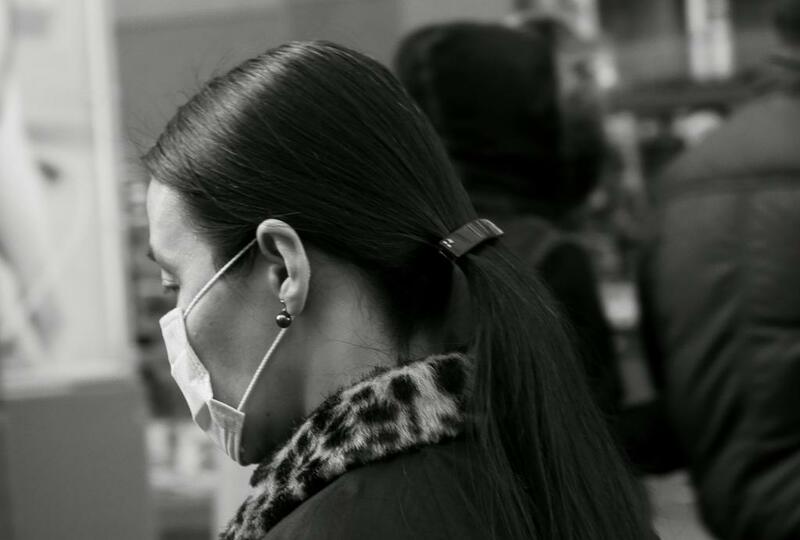 Published recently in Breast Cancer Research, the study was conducted to fill the knowledge gap on the link between air pollution and breast density. The authors say that this is the largest and the only study to examine the link between breast density and PM2.5 or O3. Previous studies have linked breast cancer risk with exposure to Nitrogen Oxide, fine particles <2.5 μm in diameter (PM2.5), polycyclic aromatic hydrocarbons (PAHs), carbon monoxide, sulfur dioxide and volatile organic compounds, but there has been no link between breast cancer and PM2.5 and ozone, say the authors. The study examined 279,967 cancer-free women with a mean age of 57. While 60 per cent of the participants lived in urban areas, 39.7 per cent lived in rural areas. The women were participants in the Breast Cancer Surveillance Consortium (2001-2009), a population-based prospective cohort of women undergoing mammographic screening at facilities affiliated with a network of breast imaging registries throughout the US. The study found that a one-unit increase in PM2.5 concentration was associated with 4 per cent increased chance of having heterogeneously dense breasts. However, a one-unit increase in O3 concentration was associated with three per cent lower chance of having extremely dense breasts. 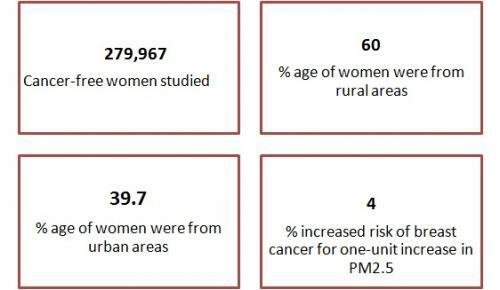 How does PM2.5 affect breast density? The chemical composition of PM2.5 is diverse and is represented by a variety of compounds, including those with endocrine-disrupting and carcinogenic properties. PAHs, which represent a relatively small mass percentage in PM2.5, are known to have endocrine-disrupting properties. They also interfere with normal DNA repair processes. 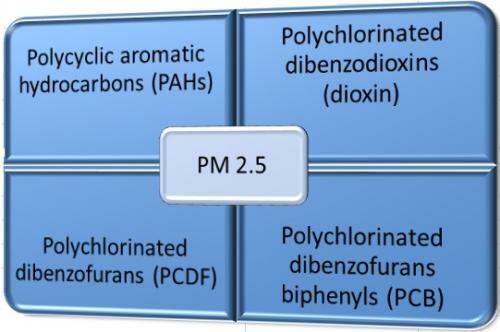 Among other organic compounds found in PM2.5, polychlorinated dibenzodioxins (dioxin), dibenzofurans (PCDF), and biphenyls (PCB) also interfere with normal endocrine function. Besides, some heavy metals like cadmium, arsenic and mercury found in fine particulate matter also have endocrine-disrupting properties, says the study. Normal epithelial proliferation is regulated by a variety of hormonal influences, including estrogens and growth factors. But when the above chemical constituents interfere with normal proliferation, the relative amount of fibroglandular tissue in the breast increases and subsequently, the breast density, explains the study.